At the heart our programme offering are the MRC Strategic Skills Priorities. All MRC DTP students will have core training in quantitative skills, with a compulsory statistical & analytical component; skills with be strengthened by more specific quantitative approaches through our strategic themes. Many students will train at a disciplinary interface (primarily basic-clinical/translation, physical, chemical, engineering or social). Whole organ(ism) physiology forms an important component of each theme, with both animal models and human research. Depending on the training path chosen, students will undertake 5 or 8 skills-based modules (each typically 2-3 days). These will underpin specialised training in our priority research areas. Indicative examples are available in our training information; options will be reviewed annually with staff and student input. All students will undertake a common ‘Core Research Skills’ training programme. This will focus on quantitative (including statistical) skills, identified both internally and externally as a key gap in current provisions, but will also cover research ethics and integrity, critical interpretation of literature and related topics. Taught elements early in the course will be reinforced by more applied workshops through the year. Depending on the training pathway (1+3 or 0+3.5), students will undertake 5 or 8 skills-based modules (each typically 2-3 days). These will underpin specialised training in our priority research areas. The following are examples of skills modules available, and the options will be reviewed annually with staff and student input: Genetics/Genomics, Quantitative/Statistical Genetics, Biology & Ethics of Stems Cells, Optical Imaging, Mass Spectometry, Computational Biology, Flow Cytometry, Experimental Neuroscience, Animal Models & Behaviour, Electrophysiology, Medical Imaging Sciences. Public engagement/ science communication, entrepreneurship & commercialisation (years 2 to 4): students will be trained in these important facets of biomedical research (later in their PhD studies for maximum relevance). 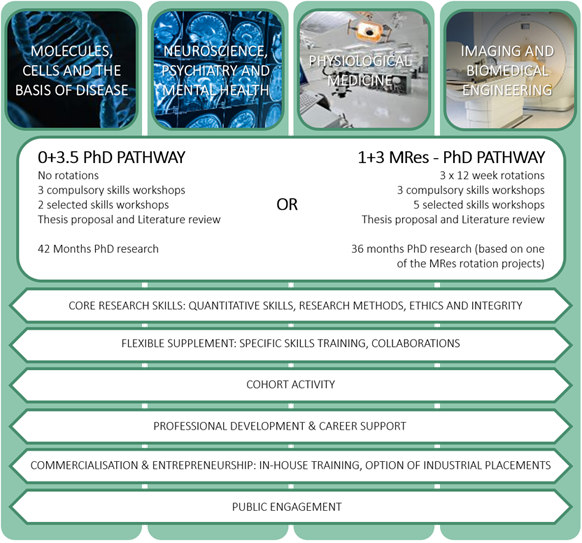 We offer a dual four-year PhD structure, offering both a 0+3.5 PhD-only pathway, and a 1+3 MRes/PhD pathway with laboratory rotations. Outstanding students come from a range of backgrounds and have a range of interests and training needs; our flexible options ensure students select the path most suited to them. Importantly, both pathways provide adequate time for training in both experimental and broader research skills, with a particular focus on quantitative and research methodologies. We use this opportunity to engage students in skills to enhance career prospects and employability including entrepreneurship, business management, research ethics & integrity, and public engagement. Population of researchers: King’s has a population of almost 750 active biomedical academics, from which potential supervisors will be drawn via an annual project call. Previous and current project catalogues can be found here. 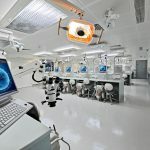 Specific benefits of the training environment: Our students access world-class infrastructure, major research centres, and established industrial partnerships, such as optical imaging (Nikon Imaging Centre), clinical imaging (Philips, Siemens and GE) and therapeutic development (e.g. Pfizer Rare Diseases Collaboration). Between King’s and our Biomedical Research Centres, we provide world-class research facilities in imaging, genomics and bioinformatics, mass spectrometry, molecular spectroscopy, flow cytometry (inc. CyTOF) and single cell genomics, as well as four clinical research facilities (CRFs) and ready access to patient populations and specimens. Our Stem Cells Hotel provides laboratory space for collaborative studies. Innovative approaches are provided for science communication through Science Gallery London, and for entrepreneurship through the King’s Commercialisation Institute. Training and socialising within a cohort of student peers undoubtedly enhances the student experience, and helps develop broad-minded and interactive graduates. We believe student cohorts are a powerful driver of novel collaborations between research groups. The MRC DTP offer a great number of networking opportunities from the point of recruitment and throughout a student’s PhD study including: research symposiums, regular socials, academic presentations and many more. We are committed to collaborative practise and student peers on relevant funded programmes partake in many elements of the programme. “Ownership culture” is a core value of our DTP and we actively encourage our students to organise many elements of the programme. Specifically, an annual DTP symposium; quarterly Early Career Researcher Networking forum/social; informal research brainstorming/planning sessions; journal clubs; specialised speaker workshops and public engagement activity. Student feedback is valued and informs the evaluation and development of activities. All DTP students benefit from a mentor in year 1. Monitoring, mentoring and career development is led by their thesis committee, with the theme lead, to create a personalised development plan. Progress, training needs, skills and achievement are recorded every 6 months. Wide-ranging transferable skills training (10 days per year) is provided by the King’s Researcher Development Unit’s programme, mapped against the Vitae Researcher Development Framework. This Programme runs ~300 workshops/year, inc.: thesis writing, time management, presentation skills and problem-solving, and provides access to workshops at other London HEIs. The Brilliant Club trains students to engage high-performing pupils in schools with a low-participation rate in higher education. 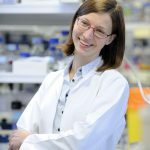 King’s will promote industry related career development events run by the Academy of Medical Sciences with industry partners. The balance we offer between research, transferable skills and industrially-oriented training provides the opportunity to consider wider careers, including science policy, publishing, patenting, and management in industry, which will enhance your career prospects and employability. This is an important skill set to acquire early in a scientific career. All DTP students receive both formal training as well as opportunities to engage in practical activities with the public (e.g. Pint of Science), patients groups and schools, supported by staff from Science Gallery London as well as departments across King’s. The MRC DTP have a Public Engagement Student Committee leading on innovative ways to engage the community with their research. You can read more about our students public engagement work here. King’s has an active student entrepreneurship programme covering a wide range of activities: King’s Entrepreneurship Institute run competitions such as “Idea Factory” challenge, workshops and events and King’s20 Accelerator. The King’s Commercialisation Institute run workshops to understand intellectual property and licensing, formation of a spinout company, business plans, financial modelling, negotiation with commercial parties and case studies in business development. Interested DTP students may undertake short placements within the Commercialisation Institute, developing business plans (both spin out and licensing approaches) for commercial projects; placements such as these can be made possible by the MRC Flexible Supplement Fund. In addition to academic mentors, the MRC DTP works closely with the Centre for Doctoral Studies which has a dedicated Careers Consultant. Careers Spotlight events show the range of potential careers for our graduates, on-line tutorials, webinars and workshops, explore pro-active approaches to career development including writing an effective CV, developing interview skills, and gaining industrial exposure.